Holidays that get you moving! How do you like your holidays? Sporting? Active? If so our campsite is exactly what you’re looking for. 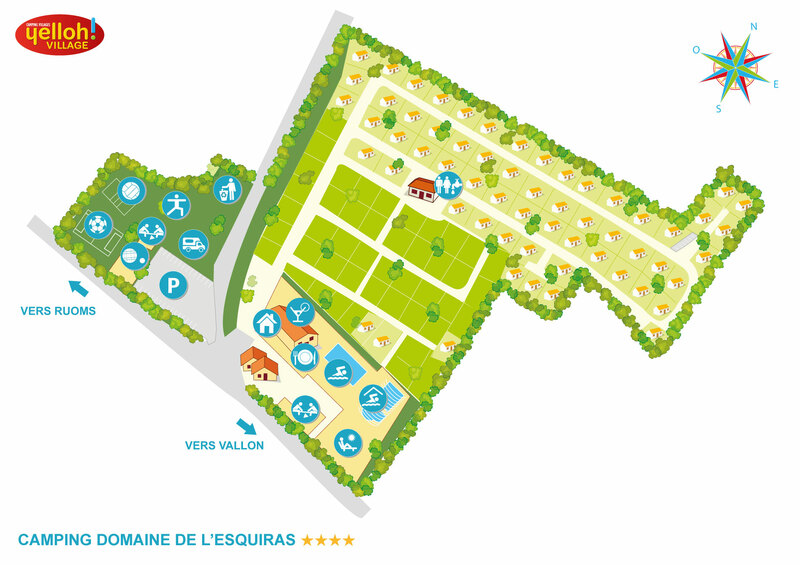 In July and August, the Domaine de l’Esquiras will be pulling out all the stops to offer the widest possible choice of activities for you and all the family. On your holiday programme in the Ardèche: sports tournaments and competitions, aquafun, water-polo, petanque... and never forgetting the all-essential quizzes and games to accompany your aperitif. So it’s time to put your competitive spirit into gear and get ready for some serious fun! One thing’s certain, you won’t have time to get bored when staying at the Domaine de l’Esquiras! Hurry and join us, we’re ready and waiting! Looking to discover a different side to the Ardèche? Nothing could be simpler! In high season, round up the family and set off to share a unique adventure in an exceptional landscape: canoeing through the breathtaking Gorges de l’Ardèche, the thrills and spills of canyoning or maybe caving and exploring the mysteries of the ground beneath your feet, tree-climbing adventures or via ferrata for the brave-hearted... there truly is something for everyone!